In order to allow for remote debugging, we need to edit the domain startup script startWebLogic.sh and specify JVM options for starting the server in order to support remote debugging of ADF applications. %MIDDLEWARE_HOME%\user_projects\domains\\bin directory, where %MIDDLEWARE_HOME% . The next step is to enable the remote debugging feature for your project in JDeveloper. To do this, go to your project’s properties. Select the Run/Debug/Profile section, and click the Edit button for the “default” setting. This will bring up a dialog where you can check the Remote Debugging option. Select the required flags and click on Enable/Disable. Enable the level of debug you need, e.g. 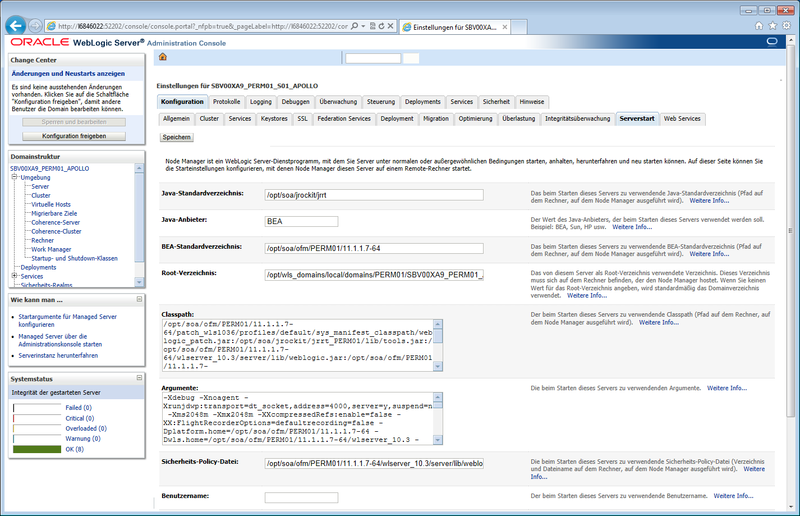 : security, servlet, jdbc.This change does not require weblogic Server Restart. This change requires server restart. Near the top of your file add the following line to enable debugging. Locate the following line locate further down the file and make a note of the port number.You can change the default port number as well.